One thing I get asked all the time is if futures day traders (like those at Samurai Trading Academy) are impacted by the Pattern Day Trader Rule that applies to those trading stocks or options. The simple answer is no, because by their very nature futures contracts are short-term due to their expiration cycle. This difference on it's own is a huge advantage of trading futures over other the other markets out there. Let's cut right to it - being a Pattern Day Trader is terrible. More rules, more requirements, more restrictions on your day trading business. Who wants that? All right, so maybe that's a little bit harsh right off the bat. Let's back up a bit. 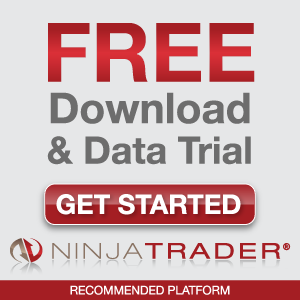 What exactly is a Pattern Day Trader? How does it change the way you trade? And finally, why are futures markets superior for day trading compared to something like the stock market? These days, a person is classified as a Pattern Day Trader if they execute four or more day trades in five consecutive business days, provided the number of day trades is more than 6% of the total trades in the account during that period. If you get this label, you now must maintain a minimum balance of at least $25,000 in your account on any day that you place a day trade if using a margin account. While this sounds all right in theory, it also severely limits participation in the market (thus limiting liquidity) and actually can increase a trader's market risk. Additionally, I don't know a lot of people who want to risk that kind of money when they are just starting out in their day trading career! The rules around being a pattern day trader first came into effect in 2001 during the collapse of the Internet-fueled stock market bubble. At the time, everyone seemed to be calling themselves a "day trader' as they simply went long over and over during a hyper-active bull market, but eventually the market crashed and a lot of people (and brokers) were caught on the wrong side thanks to "cross guarantees" that led to unmet margin calls. This caused the SEC and FINRA to enact Rule 2520, The Pattern Day Trader Rule, to try to prevent people from getting in over their heads in the future by requiring considerable funds to be in the account of any day trader using margin to buy and sell stocks. Of course, while it sounded great for the government to try and protect people from themselves (insert extra sarcasm here), this rule change came with some serious drawbacks as well. The first and most obvious is that once you are classified as a pattern day trader, you need to keep a minimum balance of $25,000 in your trading account of all times. This is how the SEC judges if you are a "sophisticated" trader. Drop below that number by a dollar and suddenly regulations tell you that you are not longer fit to participate in the market. This hardly seems like a reasonable definition of a trader's skill, in my opinion. Many professional traders actually use margin and leverage to their advantage, because it allows them to keep their amount deposited with a broker low so they can keep the rest of their trading funds in safer personal accounts. These regulations take that power away from traders, forcing them to keep a substantial sum of money in an account with their broker at all times. Considering some of the recent issues we've seen with brokers like MF Global, is this really a safer option for a day trader? Since you can only become a pattern day trader by executing day trades (trades opened and closed within the same business day), this rule leads to many traders attempting to avoid this classification by holding trades longer than they otherwise might. A trader who is in a position they no longer consider to be high probability is now inclined to hold until the next day despite their better judgement, exposing them to increased risk of loss. Hardly a good way to "protect" day traders that the SEC envisioned, is it? The best way to avoid being branded a pattern day trader by the various regulatory bodies is simply to trade securities where those rules don't apply. The futures and Forex markets are both by their nature more short-term than stocks and options as futures traders need to trade regularly to protect their business interests by locking in commodity prices, while international companies often have to do the same in FX to mitigate currency risk. These regular short-term business practices make it unlikely that similar regulations on day trading will come into effect in these markets, making them superior options for someone looking to day trade with lower minimum requirements and additional regulatory freedom. That said, the futures market is likely the best option overall due to the additional price transparency compared to Forex and the many other advantages of futures. Getting started in futures requires opening a broker account with as little as a $2,500 minimum balance, though some require $5,000 or more. The intraday margin to trade a single contract of ES (Emini S&P 500) is only $500, giving you tremendous financial flexibility. This allows a professional trader to keep a small account while still trading multiple contracts, while keeping their additional trading funds in their own personal accounts to access only if necessary. It also allows those who are new to trading to participate without having to take on significant financial risk. I know a lot of people who trade futures full and part-time, but few of them were able to start with $25,000, or would have wanted to right from the beginning. The lower barriers to entry allows futures traders to get involved in an exceptionally liquid market with good volatility without needing to put aside a huge chunk of money right from the start. In recent years, futures markets have become increasingly popular due to the many advantages they offer to the professional trader. Any trader from complete novices to market veterans can get involved with a low minimum balance, reasonable costs and fees from their broker, and full price transparency from the central exchange. 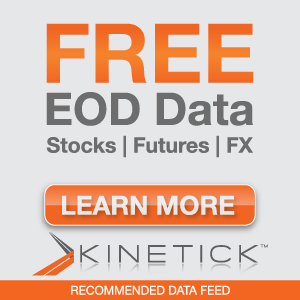 For anyone wanting to learn to trade, the Emini S&P 500 futures market an ideal place to start. Emini futures and FX can both be good for smaller accounts, but make sure that your trading plan is in line with your account size. Keep your risk percentage per trade low and you can trade effectively even with a small account without risking that account “blowing up”. Totally agree with you here. I hate this stupid rule! For me it wasn’t about being able to finance an account over $25K, it’s just that I didn’t want to! Why should I have to keep my money with my broker when I can keep most of my trading funds safely in my own accounts?! This rule made me switch to forex and options, so I definitely get where you’re coming from. Exactly, Hugh. A lot of this stuff was implemented to supposedly “protect” traders, but it often has the opposite effect. I basically avoided stocks entirely due to the extra regulations and mostly focused on Forex as well before spreading into futures. So is this the main reason you trade futures and not stock, this pattern rule? Hi Chendra. This is one of the reasons why I prefer futures over stocks, FX, and other instruments, but it’s not the only one. I actually posted an article on this which you might be interested in reading, called 8 Advantages of Trading Emini S&P 500 Futures.